You may choose either spirituality or physics to explain existence in two simultaneous realities. For Capitol Hill’s Travelers Tea Co., choose rent. The long-time Pike/Pine den of spirituality, tea and thali is preparing to open a new home in Beacon Hill. But, for now, Travelers will also exist at 501 E Pine — its home since winter 1998. And, we’re told, it hopes to stay on the Hill and make the Beacon Hill opening an expansion, not a back-up plan. We’ve noted the ongoing efforts of the shop and restaurant’s landlord to lease the E Pine space. We’re told Travelers does not currently plan to leave Pine but its time will run out when a new tenant that can afford higher rent can fill the space. In the meantime, Travelers owner Allen Kornmesser is preparing a new restaurant space in Beacon Hill at 2524 Beacon Ave S. It’s not quite ready to open but there are signs up and the local neighborhood news site is on the case. According to Ron Nims who works at Travelers, the new Beacon Hill space will provide both locations with a full kitchen and upgrade their culinary capabilities significantly. 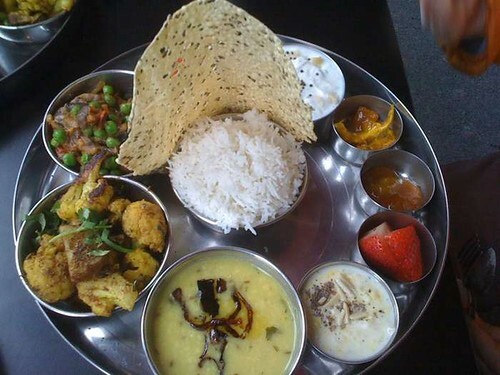 Over the years, Travelers has developed a reputation for a surprisingly authentic thali from “a white guy with a PhD in Indian politics.” It has also been known for a sometimes laid back and inconsistent approach to business and service. It’s a funky place. But it’s also the kind of community place that stays open when riot police have stormed the neighborhood. How much longer will it call Pine home? Do you prefer science or religion? 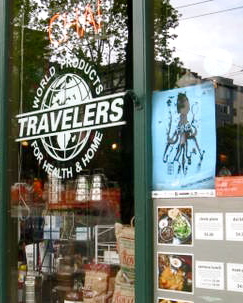 It will be a sad day for the Hill when/if Travelers closes. To be replaced by the inevitable new hipster/yupster bar/restaurant. I hope they are able to stay on the Hill! Great food, tea, and such a wonderful variety of good things, and great place for hanging out with a friend. Nothing else like it, and yes, there is quite an abundance of hipster/yupster bar-restaurants already. I live on this hill, but frankly I’m more likely to hit up the new Beacon Hill location because I love riding Link and I love visiting Beacon Hill and watching it turn into a better neighborhood! As one that does not thrive on cultural homogeneity, I do think this is a bad thing, actually. +1. It’s time The Station got some company in the cool places near the Beacon Hill Station department.